Mowing the lawn is considered by many to be among the most mundane suburban summer homeowner chores. Our personal injury lawyers in Massachusetts know it’s also one of the most dangerous. Although millions use these devices routinely without a problem, the U.S. Consumer Product Safety Commission reports that some 253,000 people are treated in hospital emergency rooms annually due to lawnmower injuries. Of those, roughly 20,000 are children. Operators of these powerful machines have a duty to ensure they are in good working condition, that their yards are free of any obvious hazards that could cause injury if contact is made with the blade and that children in their care are at a safe distance and properly supervised. Beyond that, manufacturers have a duty to make sure the product they are selling is safe for the masses. Federal safety standards for power mowers have been in place a long time – since 1982. These guidelines specifically aim to reduce the chance of hand or foot contact with the blade, which has been known to cause severe injury, including amputation and even death. Still, these instances continue to occur. In the recent case of Purdy v. Deere & Company, the plaintiff argued before the Oregon Supreme Court that the defendants, the manufacturer and seller of a riding lawnmower, were responsible for the serious injuries suffered by a young girl, the plaintiff’s daughter. The accident occurred when the father accidentally backed over his young daughter when she approached him from behind. He didn’t realize she was standing there. 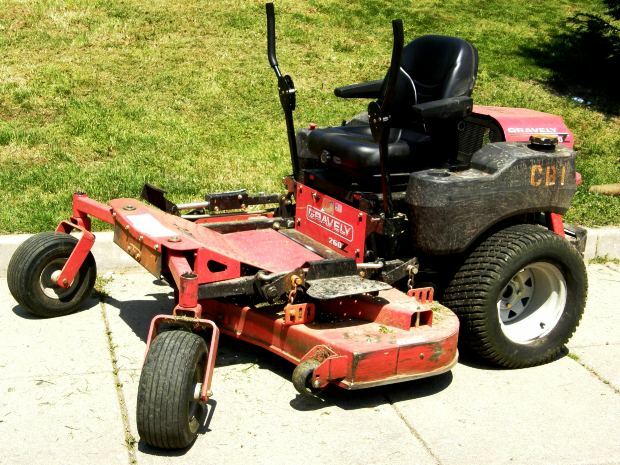 The father alleges product liability based on the function of a safety device that shut off the blade automatically when the mower was in reverse. However, the mower had a feature that allowed the operator to override that safety feature by pushing a button located on the dashboard. That feature was engaged at the time of the accident. The device included no warnings or instructions that addressed the proper and safe operation while in reverse. However, at trial, the jury sided with the defendant. The plaintiff then appealed, raising numerous assignments of error, including the fact that the trial court had refused to allow evidence that this same model of mower – and in particular the shut-off of the reverse safety feature – had been involved in a number of previous injury-causing accidents. The appellate court ruled in favor of the defendant, but is now being forced to reconsider, at the direction of the Oregon Supreme Court. Justices there determined that the appellate court failed to properly weigh all of the assignments of error presented by the plaintiff. In fact, the appellate court only weighed one out of 10. That means the plaintiff will have another chance at possibly collecting damages from the manufacturer for his daughter’s injuries. If you are injured in a New England lawnmower accident, call the Law Offices of Jeffrey S. Glassman for a free and confidential appointment — 1-888-367-2900.